People are using their mobile devices to conduct online searches. there are more mobile devices in the world than toothbrushes? 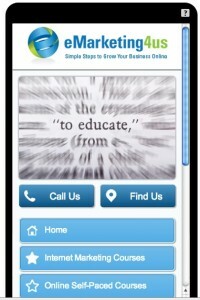 It’s not a matter of if you need to get a mobile website for your business but when! To learn more about our affordable mobile website packages and get your website optimized for mobile devices ….